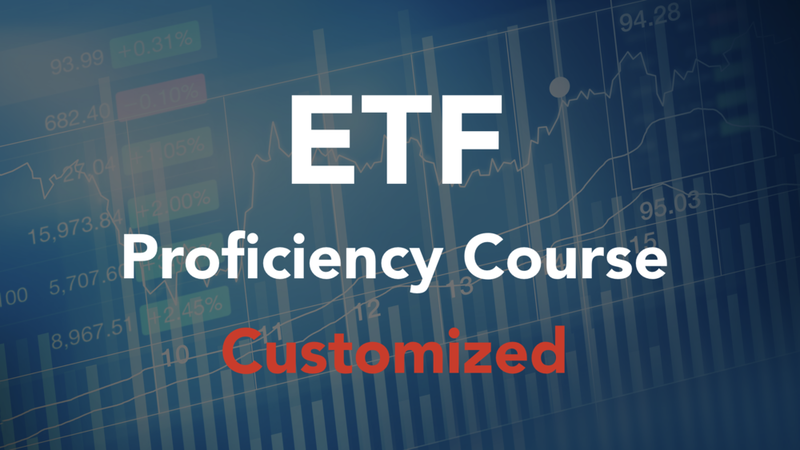 Customizing Your ETF Training Experience — Learnedly. Earlier this month we launched our ETF Proficiency Course for MFDA Dealing Representatives wanting to offer exchange traded funds to clients. Last week we had the distinct pleasure of introducing the MFDA session at the seventh annual conference of the Federation of Mutual Fund Dealers. A few of the topics covered in the session related to ETF training requirements for MFDA Dealer Representatives and reinforcing the key requirements of MFDA's Policy 8: Proficiency Standard for Approved Persons selling Exchange Traded Funds ("ETFs"). One of the key takeaways is that internal training must accompany ETF standard proficiency training, such as the content covered in our ETF Proficiency Course. Internal training must cover detailed product information on the specific ETFs offered by the Member firm; how to obtain market quotes; acceptable trade types and which accounts will allow for ETFs; required disclosure information for processing trades; order execution processes; compensation structures; and the list goes on.